Uber is making a couple of small but significant changes to its ratings system. These changes are designed to make things fairer for both drivers and riders alike. The main change makes it much easier for riders to see their rating. Because who doesn’t want to know how they’re being judged by others? The ratings system is one of Uber’s core components, and one which is essential for Uber to weed out bad people. This lets riders rate drivers and drivers rate riders, awarding them up to five stars. Your average rating gives drivers and riders alike an insight into your past behavior. Rider ratings were originally only available by request. 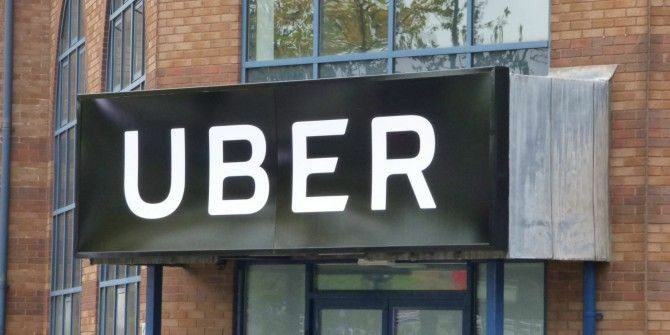 Riders were required to email Uber politely inquiring about their rating. In 2016, Uber dumped the support email, and consequently made rider ratings available in the app. The problem was they were still pretty difficult to find How to Find Out Your Uber and Lyft Passenger Ratings How to Find Out Your Uber and Lyft Passenger Ratings You probably think you're an amazing passenger, but so does everyone else. What do Uber and Lyft drivers actually think of you? Here's how you can find out. Read More . Now, Uber has made your rider rating much more accessible. Instead of being hidden behind a support page, your rider rating will be displayed in the app’s menu, right under your name. Therefore there’s now no hiding from the truth; even if that means facing up to the fact that you’re a bad passenger Uber Reveals the Rules All Riders Need to Know Uber Reveals the Rules All Riders Need to Know Uber has revealed the rules all riders need to know. And as breaking any of these rules could see you banned from using Uber ever again, regular Uber riders should probably take notice. Read More . The other change will help drivers avoid having their average rating dragged down by UberPool riders. Now, when a rider gives a driver a poor rating because of something out of their control — an abusive co-rider, or an out-of-the-way route, for example — that rating won’t be counted. These are sensible changes to Uber’s ratings system. Allowing riders to see their rating has plenty of positives, and really no negatives. And excluding poor driver ratings for things beyond their control should prevent drivers feeling like they’re being blamed for Uber’s actions. Do you use Uber as a rider? Or are you an Uber driver? Either way, how seriously do you take your rating? Have you ever been given a really bad rating? If so, why? Are you pleased to see Uber making rider ratings more visible? Please let us know in the comments below!